Once you become familiar with GNS3, the thought soon strikes – how can I get my PC to talk to the routers in my GNS3 configuration? Since GNS3 WorkBench operates within a virtual machine, the process is a little more complicated than running GNS3 directly on your PC because you have to understand the relationship between your Host PC, your Guest OS (Ubuntu in this case) and the virtualised devices in GNS3. If you’d like to learn about that relationship, then read on. This is the third and final article of a series. 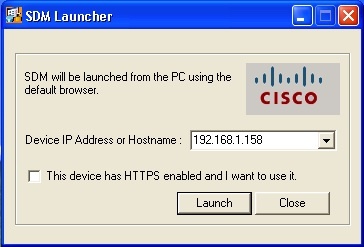 The first article was a tutorial on VMware Interfaces as they relate to your Host PC. In this article, I explained the relationship between your Host PC and the Virtual Interfaces that VMware creates when you install VMware Player, and how to use vmnetcfg.exe. The second article dealt with linking your Virtual Machine’s adapters to your Host PC within the Ubuntu/GNS3-WorkBench environment. The emphasis here was to show you that the interfaces on your guest OS (Ubuntu) are determined by the Network Adapter Settings of your VMware Player. It was also while writing this article that I realised that GNS3 Workbench v5.6 was configured with the primary interface (eth0 on Ubuntu) linked to non-existent host interface. For the remainer of this article, I’ll assume you are running GNS3 WorkBench v5.6 within a VMware Player (v3.1.4) environment on a Windows based Host PC. Your host PC will need its Ethernet port connected to some physical device to ensure that it is up. [If you host PC only has wireless, then make sure it is turned on and that should do]. user@GNS3WB:~$ ifconfig | grep -A 1 eth. You might want to check that your Host PC and guest OS (Ubuntu) can ping each other on these addresses. You will need to have your Host PC set up to obtain an address automatically for this to work for the eth0 address. If you can’t, then reading my previous posts (1) & (2) may help you troubleshoot. Let’s start in the GNS3 WorkBench environment by opening the Desktop shortcut Standard Layouts. From here, open the lab 1 Router (reset lab). Take a look at the icon that says Local Network/Your Windows PC. This is the link to your Ubuntu’s eth0 interface and your host PC’s Local Area Connection. Right-click on this PC icon and select configure. In the Node configurator dialogue that opens, select Local Network in the left-hand pane, and then select the NIO Ethernet tab. Notice that there is already a mapping for nio gen_eth:eth0 associated with this particular node – which by the way is a node of type Cloud in the GNS3 configuration, but has had an icon looking like a PC associated with it. The other PC icon vPCx and the SerialCloud are also cloud type nodes. Close the Node configurator and click the green “go” icon on the toolbar to start your router. Key Point #1 – Access to external devices in GNS3 is achieved by using Cloud Node types. Answer no, and Press RETURN to get started! Now configure your router to allow telnet access, and even SDM (Security Device Manager) access, and you will be able to access your router from your host PC. 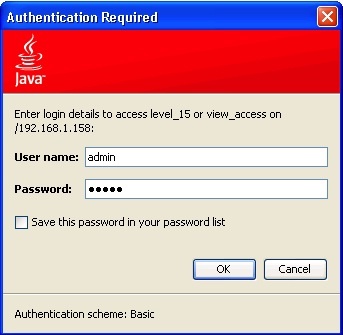 To do this in my example, I will allow full open access (privilege 15) on telnet, and to allow SDM access, I’ll need to create a user with level 15 privileges and start the http secure server and specify that we want to authenticate using the local username. Now to test from the host PC! Back in GNS3, look at the Node configuration settings for the Serial Cloud. You will see that it has been configured with a NIO UDP connection to 192.168.255.11:5000. If you now assign appropriate IP addresses to each router’s serial 0/0 interfaces, they should be able to communicate! Key Point #2 – Cloud Node types can be linked not only to physical interfaces, but to other ‘Cloud‘ interfaces on other computers, or other ‘Cloud‘ processes on the same PC, such as the VPCs application. In this article I have shown you the relationship between the NIO Ethernet interfaces and your Host PC and your Ubuntu Guest OS. You have learned how to use these interfaces to interact with the outside world – from your local network to anywhere in the internet. The exception is that your router doesn’t want to talk directly to your Guest OS interface, but this doesn’t stop your router connecting to the Guest OS IP hosted on another PC. 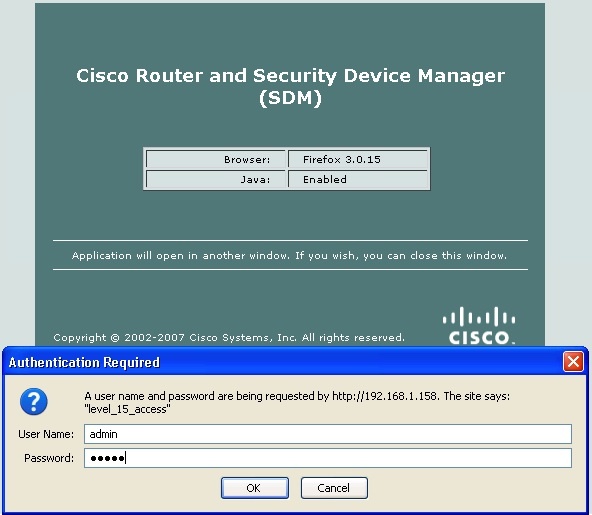 Once you have connectivity between your Host PC and your router, you can telnet directly to your router, or even use Cisco’s Security Device Manage (SDM) to access the router if you desire. I have shown you the bare essentials to connect NIO UDP interfaces from one system to another, ans left it as a challenge for you to ponder and complete. I encourage feedback about your success and/or frustration. This concludes my 3 article series, be sure to check out the first two articles (Tutorial on VMware Interfaces, and Linking your Virtual Machine’s adapters to your Host PC using GNS3-WorkBench) if you have not already done so. This entry was posted in GNS3, GNS3 WorkBench, Ubuntu, virtual interface, Virtual Machine, vmnet, vmnetcfg, vmnetcfg.exe, VMware, VMware Player and tagged GNS3, GNS3 WorkBench, Guest OS, Host PC, NIO Interfaces, Ubuntu, Virtual Interfaces, VMware Player. Bookmark the permalink. Good article. But what about the inverse direction. When I have a GNSlab in my home network and I would like to reach the individual routers in that particular network? How can I do that? I know I can telnet to the 2501 or 2001 ports(some additional setting needs on the local router), but it has limitation. Any other solution? Apart from tedious tweaking of your home router settings for mapping different port, then most practical solution is to set up a VPN on your home network. If your access-router doesn’t have VPN functionality, you can probably at least set it up with a DMZ host (or something similar) and then run an ASA as your DMZ host. Someone should write an article how to do this one day. Any takers? Thanx alot!! !very very nicely explained!!! You are welcome. However, I would very much appreciate it if you used links back to my blog rather than copying my post to put on your blog. I haven’t used Workstation 9, but it should follow the same principles as all other VMwares. Firstly, it doesn’t matter that you are using 10.10.10.x – the fact that all the examples use 192 & 172 is immaterial. 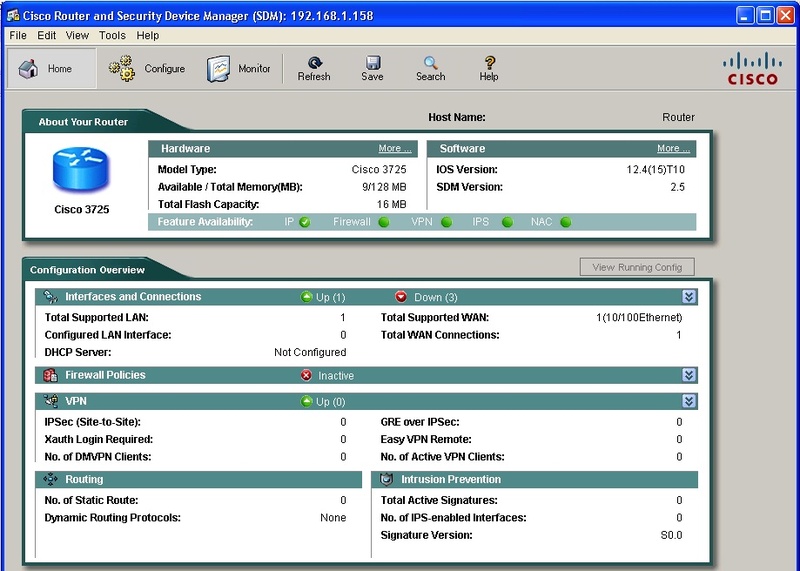 Not sure of the exact steps in VMWS 9, but check you network adapter settings to the VM. Check that the first adapter is a) enabled and b) bridged to your Local Area Network connection. Rednectar, I have tried for days to get my Briged Interface working. My Host PC is Windows 7 and im running your GNS3 Workbench in Workstation 9. The host only is fine and it appears i can ping from GNS3 Console to the internet just fine but I am unable to bridge the Bridged interface to allow my Router to get ot to the NET. My ip schema is 10.10.10.0 and 1 being the default gateway. Also In the network editor Ive noticed everthing is 192. or 172 should i change my home network to reflect that scheme? Any help would be appreciated this sucka has taken alot of my nights away from me and i have not being able to get something working. Especially something im really looking forward to getting working! All your blogs and write ups are great by the way….Keep up the good work! Glad it helped Jay, and thanks for your comments. Good luck with your CCIE. No words to express how well you have written these 3 articles. For same information i did google and saw so many articles but still it was not clear for me. Your information is very well explained and i learnt a lot about vmware from you. Excellent, helpful series of posts. Taught me much about VMware AND GNS3 networking. Still pondering the layered virtuallity of it all. Thanks for the kind words. Believe me, you will need to get a good grasp on all things virtual as you go forward!